If you’re like me, you’re alternately watching Twitter, the TV, and the chocolate chip cookies you’re baking to combat your anxiety (ahem). Let me offer you what I hope is a fun alternative to election coverage: my new podcast. 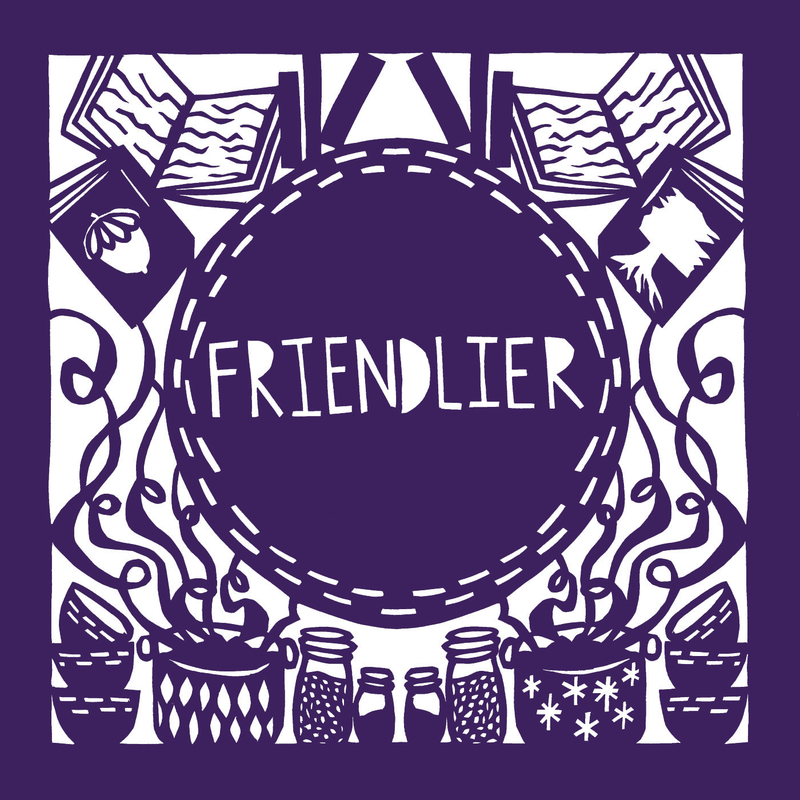 Called Friendlier, it’s a collaboration with my dear friend, Sarah. Every episode, we’ll catch up on life lately, talk about what we’re reading and eating, and chat about something specific. In our first episode—released today!—that something is our college experiences. We’ll release new episodes every other Tuesday. You can listen on our website, on iTunes, and soon on Stitcher (we hope). If you like what you hear, please subscribe wherever you listen to podcasts, and either way, we want to hear what you think! She met (and was held by!!) President Obama this month. Pretty much the most incredible day ever. Loves all food. Lentils, cheese, lasagna, bread, et cetera. She is also getting really good at picking food up on her own and tries out the pincer grasp more and more. Still happy foot claps for food and other exciting things. Rolls all over and changes directions fast by pushing with her feet while on her belly. Hangs out a lot on her side in sort of a lounging pose with her top leg bent and the sole of that foot on the floor (looks a little like Burt Reynolds in a certain centerfold photo). Sometimes gets up on knees and elbows and rocks back and forth (go, baby, go). Sits much more steadily in her high chair and in our laps, but doesn’t sit up on her own from lying down yet. Claps more and has waved a few times. Conversational and quick to giggle. Mimics many sounds and even convincingly repeated “Obama” once. Loves to pull the dog’s fur and try to eat it. No longer has a dream feed (one last feed after she goes to bed, usually while she is pretty sleepy). We are sad to not see her after she goes to bed, but she doesn’t seem to miss it.